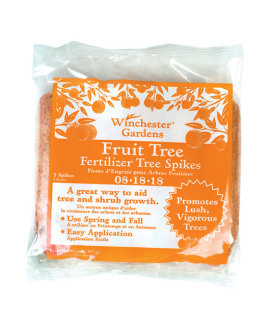 Our Tree and Shrub Fertilizer Spikes are specially formulated to promote overall healthy growth. 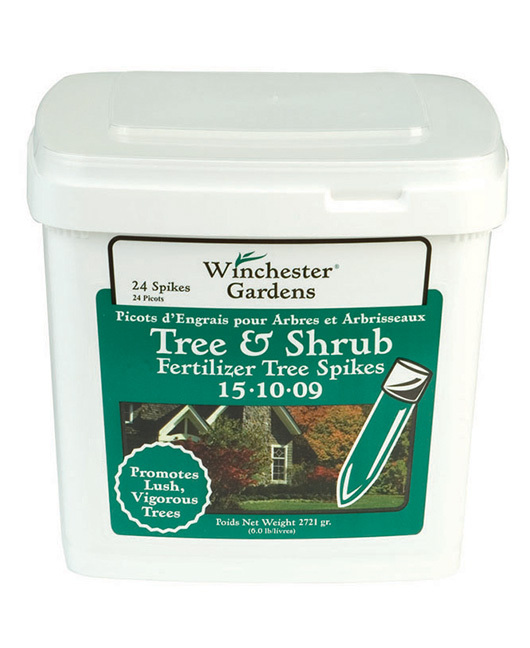 Unlike other fertilizer products, our spikes are designed to dissolve at an even rate, giving your trees and shrubs continuous nourishment, in just the right amount. *Actual spike color may vary. 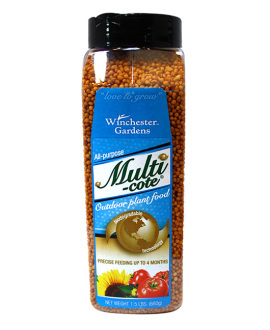 Apply once in the spring and again in the fall when the ground is soft and moist. If the ground is dry, wet the desired location before driving spikes. For second application drive spike 1 ft. from previous setting. 1. Place plastic cap on top flat portion of the spike. following the drip line as illustrated. Protective eyewear recommended. closer that 2 ft. insert spikes 2 ft. away from the center of the tree or shrub. 4. 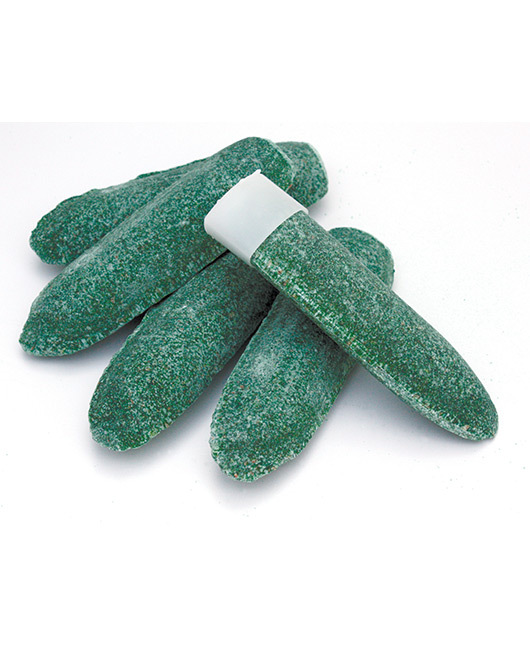 Be sure to remove and save plastic cap for use with remaining spikes.